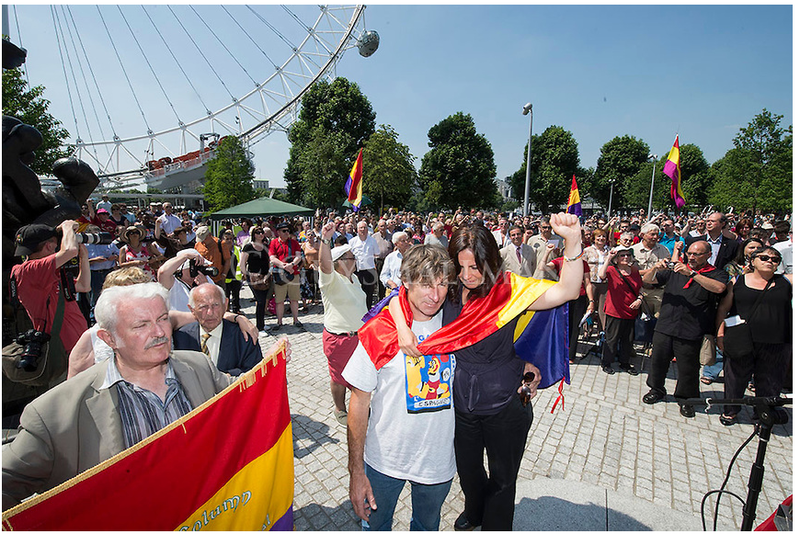 The annual commemoration in honor of the International Brigades was held in London on July 6. See a slideshow here, courtesy of photographer Guy Smallman and the IBMT. More pictures, courtesy of Almudena Cros of the Asociación de los Amigos de las Brigadas Internacionales (AABI), on Facebook here.